Go Farther Sports: The Decision is in, Folks! A Staten Island triathlete and endurance coach ventures into the ultramarathon realm where there are seemingly no limits to human endurance. 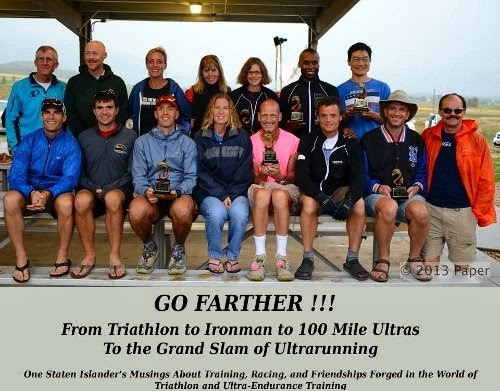 In 2013, he successfully finished the Grand Slam of Ultrarunning (picture of 2013 Grand Slam finishers above; I'm second from right), becoming only the 282nd person (since its beginnings in 1986) and only the fourth New Yorker to finish four of the oldest and most prestigious 100 mile ultramarathons in the U.S. in only 10 weeks. The Decision is in, Folks! Politics? Nope, triathlon and running! I have several athletes doing Ironman for the first time, a couple doing their first ever triathlon, two looking for their first marathon race, and one running her first half marathon. 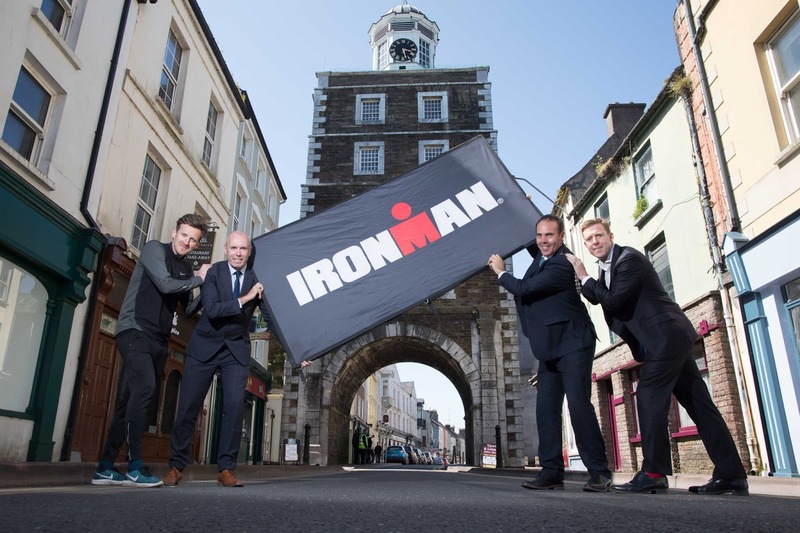 There are toss-ups as well; one might be looking for an Ironman race after several years off and one thinking of doing a marathon after 10 years. And the incumbents are doing well too. These are the ones that are improving on their respective marathons, an ultrarunner veteran looking to do well in his race, and some triathletes looking to improve on their seasons. 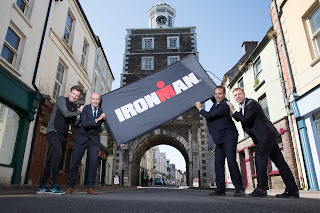 Ironman Cork, on my 50th Birthday, June 23, 2019! Looks like the makings of a landslide victory in 2019. There will be a lot of planning in the next couple of weeks to make sure that happens. This will be an exciting time for everyone! Endurance Coach and Ultra Endurance Athlete. 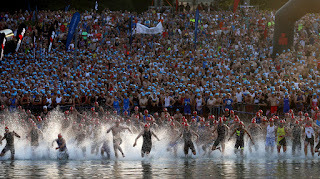 For PERSONAL coaching, please go to www.ironpete.com for details. 2019 Season - UTMB Possibility...Again? Winter Running - Yes, you CAN run outside! Marathon Eve, what to do, what not to do? Picture Window theme. Theme images by Galeries. Powered by Blogger.